Brrr! It's beginning to feel a lot like Christmas. Our monthly Hits & Highlights feature is all about cool shades of blues and purples this month. I love using untraditional colours on my Christmas cards and this combination is one of my favourites. 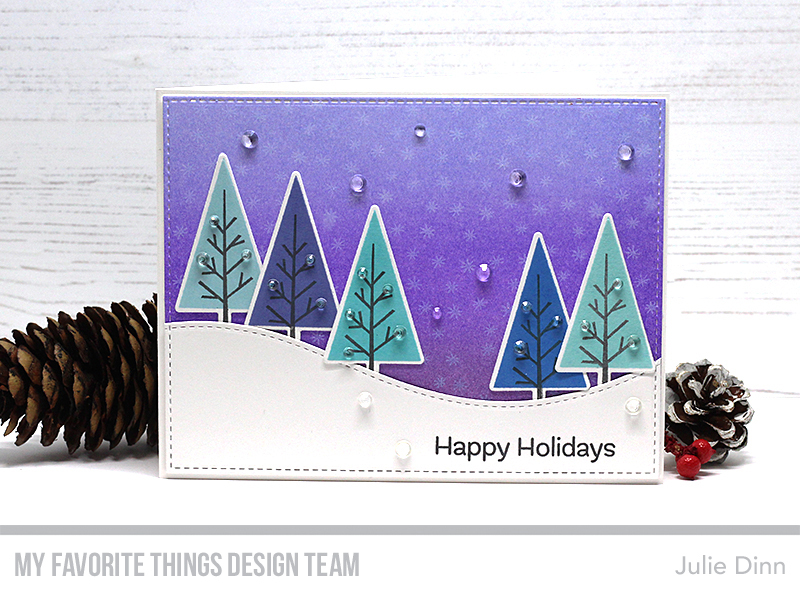 I stamped the trees from the Trio of Trees stamp set in varying shades of blue and purple. The background was created with Wilted Violet, Shaded Lilac, and Dusty Concord Distress Ink. I added some tiny white snowflakes and Sparkling Crystals to complete the scene. The crystals add just the right amount of sparkle to the card (they don't look good in this photo, but in person they look amazing). That is such a lovely card. Great scene.